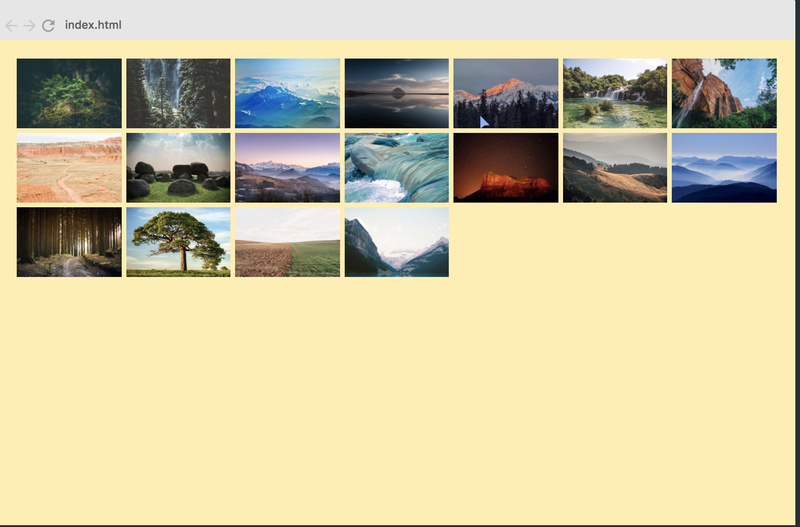 What kind of format should I use for images on my photo grid webapp? And in the 8th video the author did a simple photo grid website. Hence that got me thinking, what kind of picture format I should use in this kind of app? Before I just assume that everything is jpg or jpeg. Is there a standard when it comes to this? Also a lot of the high res images are taking up too much data to load, some 1080p images can be as big as 1MB. I think this is really bad for loading your website is it? How do you guys deal with issues like this? How can I shrink the images without losing too much quality of it? JPGs file size are smaller than PNG, for a given image dimension. That said, JPG is lossy compression and PNG isn’t. Plus, PNG has the added advantage of having transparency capability (alpha channel)… again, at an increase in file size. If you don’t need transparency, you can use JPG format. Now, on to the matter of file sizes… the problem with Bootstrap img, img-responsive classes is they just resize the photo on the display device. But the original file size is still downloaded to the user, regardless of device/connection type. Thus, a 300K image downloaded to the desktop and displayed at 1200px will still be a 300K download on a mobile device displayed on 320px. There may be similar solutions for nodejs, or php servers. Basically, I can append a width parameter on my JPG/PNG files and the server will serve a resized version of the photo. Example: The original PNG file is 5MB large. Note the URL of the image file. And the server will send to the device, a smaller version of the same image automatically. So for a desktop, I can instruct the server to send an 800px or 1200px version, or whatever nnn pixel version I want. For example, in my admin program, I would use a small ?width=50 for thumbnail versions to be shown in the admin. If you’re using Gulp.js with Node.js, you can use the ‘gulp-imagemin’ package which can compress/minify images without losing any visual quality. Highly-recommended tool that can save you some further kilobytes. Also keep in mind that the JPG format is better for photographic images, while the PNG format is better for vector graphics (line art, shapes, and application screenshots on your computer which tend to have lots of whitespace and solid colors), so make sure your format matches the content.